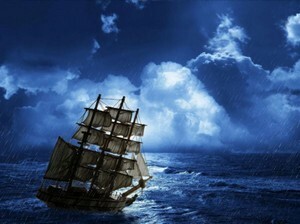 Lightening flashes in the sky and the choppy water tosses the ship about as if it were a toy. Rain begins to batter the boat. You can set your animation to be as fierce or as gentle as you like. Be creative but be fair with your crew.